Womack Dyke leads off the River Thurne and winds it’s way for just under a mile to Womack Water and Womack Staithe. 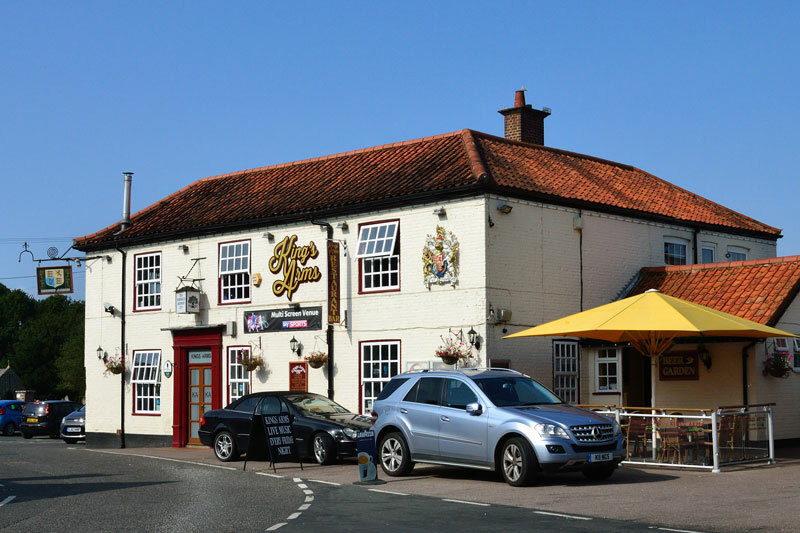 The village of Ludham with its pub and shops is just a short walk away along Horsefen Road. Free moorings are available in Womack Dyke and on Womack Island. Mooring at Womack Staithe is free until 5pm mooring is stern-on. 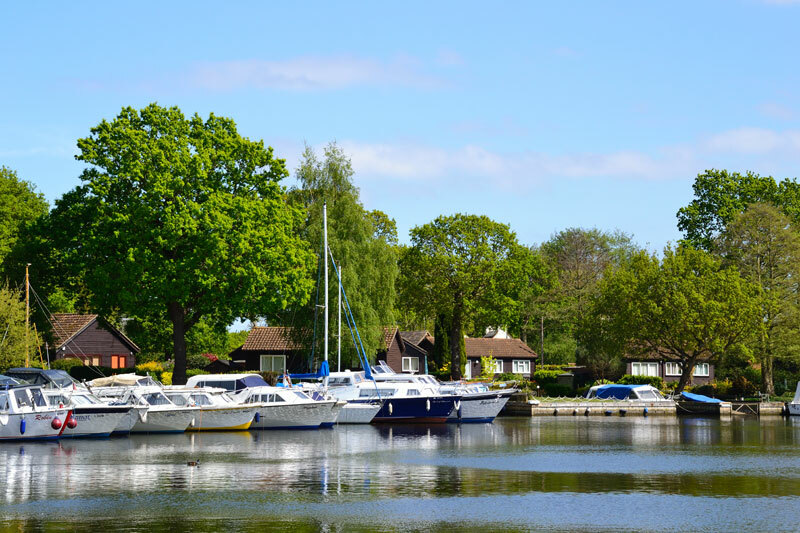 The staithe at Womack Water is a delightful spot with its large tree lined green. There are plentiful stern-on moorings that are free during the day. If you wish to stop overnight there is a small charge colleted after 5pm which helps pay for the upkeep of the staithe. Mooring by mudweight is possible here but space is limited. There are two shops including a gift shop selling hot and cold drinks, snacks etc including a small amount of essential items. 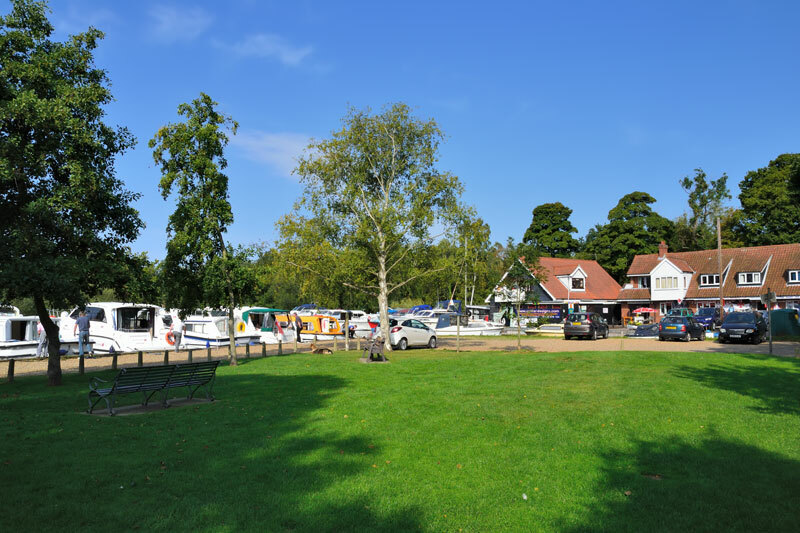 Water is available at the staithe with refuse disposal and public toilets on the far side of the green. On approaching Womack Water it may appear there are more moorings available for hirecraft than is actually the case. The first section of moorings is reserved for private boats this is clearly marked as is the moorings beside the boatyard. However there are still at least 10 spaces available. 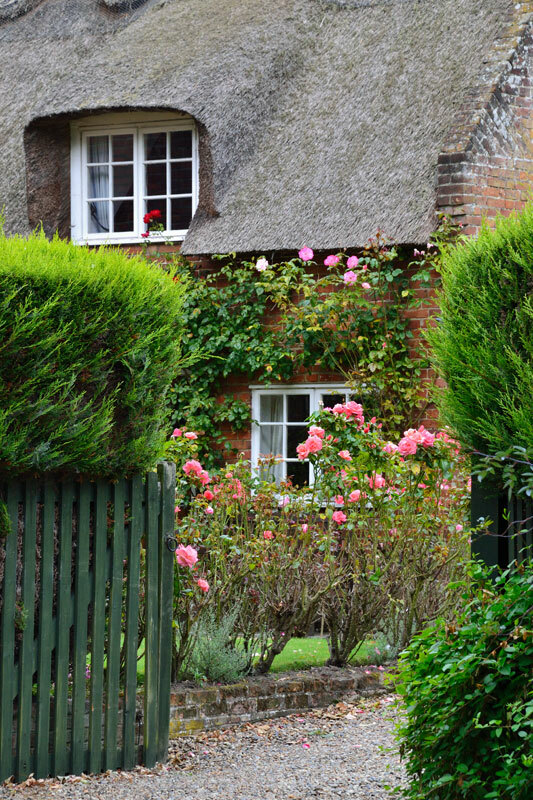 The short walk into Ludham via Horsefen Road is a pleasant one passing old maltings and picturesque thatched cottages. 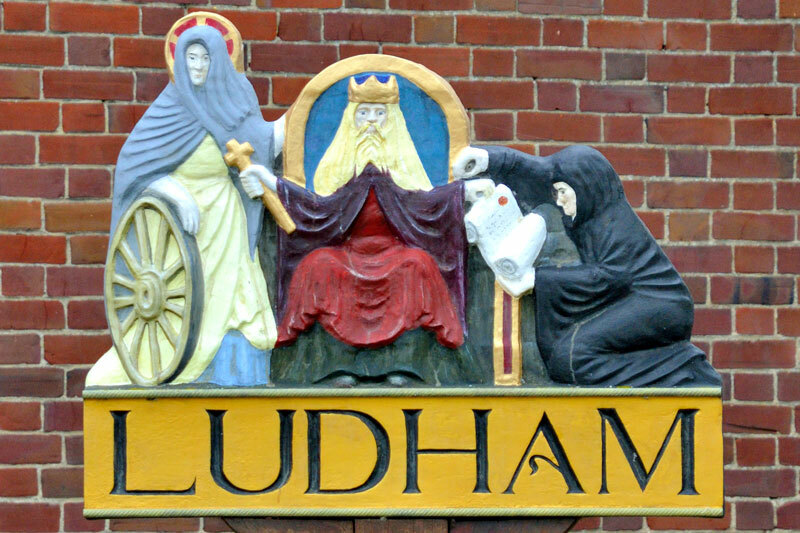 Look out for the sundial and village sign as you walk into Ludham. The sign erected in 1970 is on Baker’s Arms Green, which is the site of the old Baker’s Arms Pub. 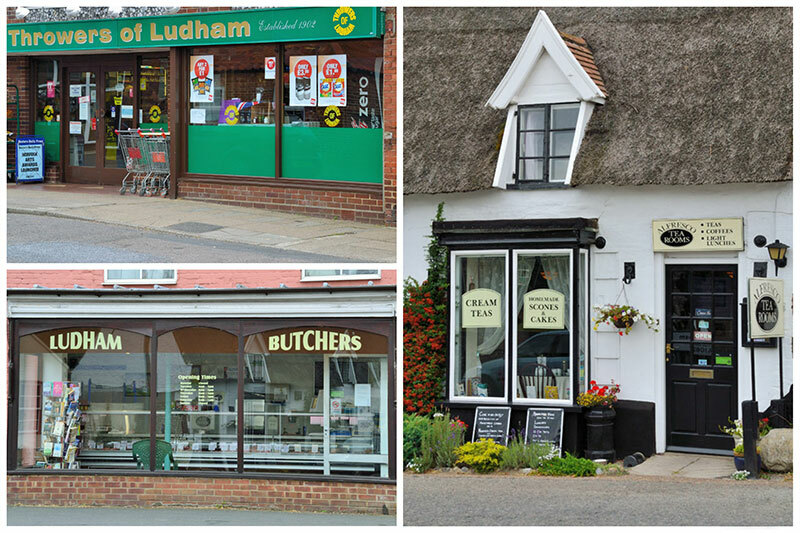 There are a good range of shops in Ludham including a garage, florist, butchers, tea room and a well stocked supermarket. The Kings Arms is a family run pub, the restaurant serves food all year round with food and snacks also available in the main bar. There is a large patio area and children’s play area. Dogs are welcome except in the restaurant. 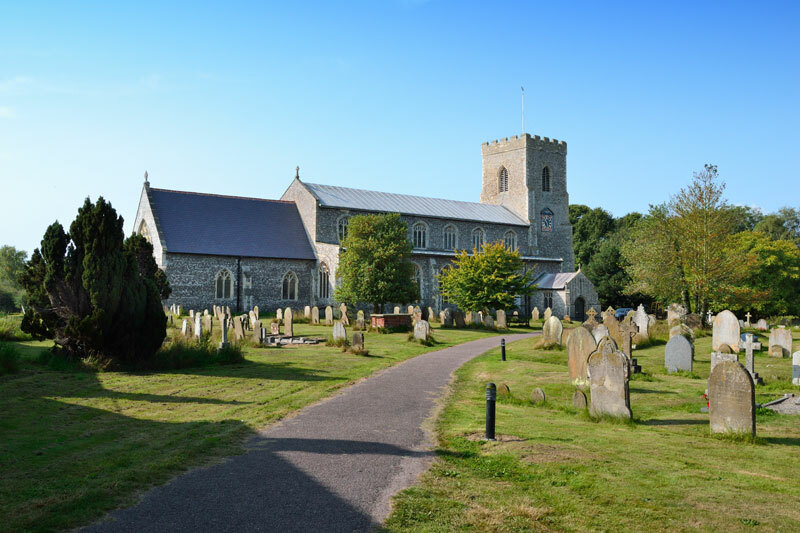 Built during the 14th and 15th centuries St Catherine’s is a particularly large church for a small village. The hammer beam roof is of interest the careful observer may spot the wheel of St Catherine carved into the spandrels. The rood screen of 1493 is a fine example, it depicts various saints including the patron saint of dentists!